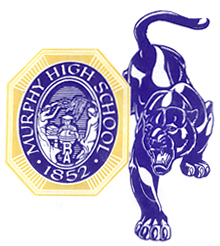 The mission of Murphy High School is to prepare students to be skilled, thoughtful, and productive members of society, enjoying a life that is fulfilling and self-directed. A supportive, competent and innovative staff will ensure this mission by offering a comprehensive, relevant curriculum in an environment conducive to learning. Please find in the next couple of pages a history of Murphy High School, beginning with an introduction of the Seal and Colors. Designed by prominent Mobile artist Roderick D. MacKenzie and presented to the school by the Barton Academy senior class of 1920, the school seal is used on all class jewelry and other formal school material. The seal shows a Murphy student in cap and gown pursuing his studies with the world before him. Standing at his left is Truth, whose mirror reflects the light of the knowledge of his work, while at his right stands Winged Victory, prepared to crown him with a laurel wreath for successful effort. Within the design the letter “B” is superimposed by the letter “A,” standing for Barton Academy, which was founded in 1852 and is the predecessor of Mobile High School, renamed Murphy High School in 1927. Blue and gold were chosen as the school’s colors in 1852 by the first graduating class of Barton Academy. The blue represents the color of southern skies, and the gold reflects the bold brightness of the sun. Let me remember that, if I am really to live, I must live my own life. For when I pretend to be someone else, to claim someone else’s ideas and knowledge, I am not actually living at all. Let me be constantly broadening the horizons of my own understanding, my own knowledge, my own beliefs; striving to be, when each day dies, better than the morning found me. Let me learn to be a giver in this school fellowship and not one who takes and only takes. Let me seek to share my knowledge, my zeal, and my faith through service to those about me. Let the light of my enthusiasm and friendship so shine that others may be guided aright. Let me find my task and ever have the courage and persistence to do it. Let me keep my standards on a plane that will be a credit to my home, an honor to my school, a strength to myself, and an influence for my Creator. And, o’er all else, in the living of these high school days—let my life be a true expression of what “I” believe. A dream was born one early morn. That dream’s come true today. Now colleges and high schools too may have traditions old. But none can boast the glorious birth of Murphy’s Blue and Gold. They built a shrine to knowledge fine, they called it Murphy High. A soul was there, a soul so fair, whose spirit shall never die. They took the blue of deepest hue, the blue of southern sky. Stan Mitchell president of the student council in 1944 started a drive for an Alma Mater and received many songs written by Murphy students. Weezie Durant explained the good points of song number one at a student assembly stating the words of the song described perfectly the spirit and beauty of Murphy. Song number one later became the Alma Mater, and it was revealed that the song was written by Stanley McLain. On May 11, 1945 the students voted to select the Alma Mater as their own. 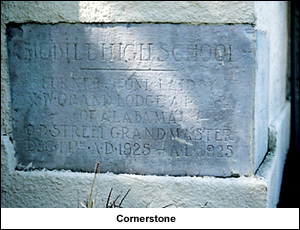 The Mobile County School Board acquired 38 acres from the Carlen family in 1923 as a site for their proposed new high school complex, and the School Board Advisory Committee of the Mobile County Public Schools selected George B. Rogers, a noted local Mobile architect, as the construction supervisor for the county’s proposed new high school. Mr. Perkins of the Chicago architectural firm of Perkins, Fellows and Hamilton, was selected as the architect in charge of the project. 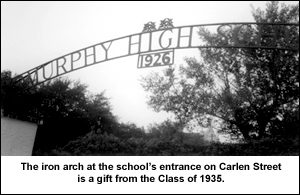 The school was first known as Mobile High; however, two years after its opening the school’s name was changed to Murphy High in honor of Samuel S. Murphy, Mobile County Public School superintendent who directed public education in Mobile from 1900-1926. In April 2001 Murphy celebrated its 75th anniversary. Murphy High School boasts a proud tradition of excellence. Fourteen buildings accommodate 2,400 students and 180 faculty and staff members. The school serves a diverse population of students from all socio-economic levels. Approximately 50% of these students are white and 50% are black. A small percent of the student population is composed of Asian and Hispanic students. Murphy is an institution that has produced more than 40,000 graduates who have distinguished themselves in every field of endeavor imaginable. Scientists, engineers, teachers, physicians, business leaders, military leaders, clergy, pharmacists, attorneys, architects, athletes, journalists, politicians, astronauts, and many others earned their high school degrees from Murphy High School. We must never forget our roots, our history, and our traditions. Murphy is a charter member of the Southern Association of Colleges and Schools, the official accrediting agency for Southern states, and a charter member of the National Honor Society for High Schools in America. The school holds memberships in the College Board, the National Association of College Admissions Counselors, and the National Association of Secondary School Principals. 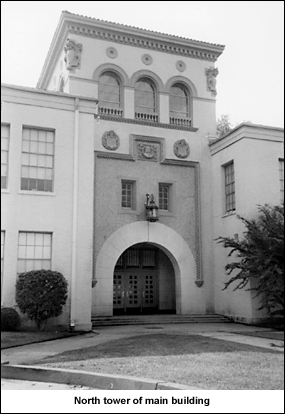 Murphy was selected in 1987 as a Presidential Model School by the U.S. Department of Education and in 1982 placed on the National Register of Historic Landmarks by the U.S. Department of the Interior. In 1994, Redbook Magazine named Murphy one of the top high schools in America. With its outstanding record of achievement and academic programs, Murphy attracts students from all of Mobile County. It has extensive offering of courses, including 14 Advanced Placement courses and the prestigious and rigorous International Baccalaureate program. Students at Murphy consistently score above the national average on SAT and ACT tests. Earning over $6.5 million in scholarships annually, an average of 65% of Murphy’s seniors attend four-year colleges, and approximately 20% attend two-year colleges, including vocational training. From 1990-2003, Murphy has had 24 National Merit semi-finalists, and 28 commended students. Nine students earned National Achievement Recognition. Murphy’s student achievements are also well documented beyond the classroom. Regional and national governing and judging organizations yearly honor the school’s yearbook, the Mohian, and newspaper, the Murphy Hi Times. Over 40 clubs on campus offer unique opportunities for students to work on school and community projects. Over 400 athletes participate in 12 sports comprised of 22 teams. Football and track have won state championships. The band program provides a yearlong musical experience, from jazz to football marching season through concert season, music competitions, and community concerts. Our Murphy Panther band has gone on trips from New Orleans to Ireland. The fine arts program has three major productions per year combining drama students, chorus students, band students, and stage crew students. The JROTC program offers students education and discipline with a military emphasis and the opportunity for armed forces scholarships. The vocational program gives students real work experience combined with their academics. With block-scheduled classes instituted in 1997-98, students now spend 96 minutes per class and earn one credit for each class per semester. When the students change classes, no longer are blue jeans seen everywhere; Murphy students now wear uniforms, khaki pants or plaid skirts with light blue or navy shirts. All classrooms are now air conditioned and major renovation work has been completed on the Lois Jean Delaney Auditorium so that it may be used by future generations of Murphy students and various civic organizations. The two massive murals in Murphy’s library painted by Mobile artist Edmond DeCelle in the 1930’s and covered up by a 1960’s renovation effort are being restored. The girls’ and boys’ locker rooms have been completely renovated and a new floor laid on the basketball court. New bleachers have also been installed in the boys’ gym. Also, the track has been completely redone with a new surface. The senior class of 1999 raised money to have bleachers placed along the west side of the track, replacing those that burned during the 1980s. 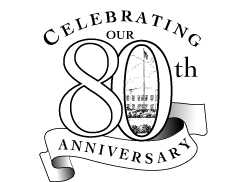 In 1999, being good neighbors, the Historic Murphy District Association raised during a five-year period over $60,000 from neighbors, friends of Murphy, and alumni to erect a handsome iron fence around the perimeter of the school, complete with impressive gates at the horseshoe entrance on Carlen Street. entire county. It was to include room for a student body of 8th, 9th, 10th, and 11th grades—12th grade was not included in the academic program in Mobile County until mid-1950. Other projects include the installation of eight historic street lamps on the South Street side of campus, the renovation of the north tower room, landscaping at the Carlen house and at the new South Street parking lot by Murphy students as part of their Eagle Scout badge. The Class of 2000 placed a new historical marker on Carlen Street, and the fountain in the auditorium/gym courtyard has been renovated. The Alumni Association and the Class of 2003 have installed six historic lights along the sidewalk in front of the auditorium and the arts building.